Lázara Rosell Albear (b. 1971, Cuba) is a Brussels-based artist with a mixed practice, ranging from the research of sound and performance to the production of events and films. Exchange and sharing constitute the essence of her practice. She explores movement, migration, transformation, interactivity and its effects on the human condition. The advance in technologies has brought us “new” means to work with, broadening also the traditional means of dance, and theatre. Rather than choosing between these different media, she strives for a contrapuntal togetherness and total immersion — both internal and external. 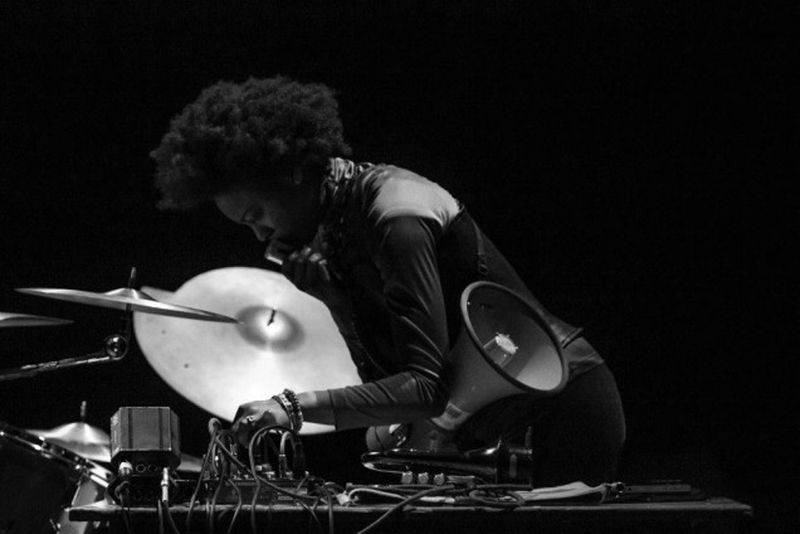 Her collaborations and her various artistic, musical and performative projects have been shown all around the world. Lázara Rosell Albear was a resident at WIELS in 2016. "Unsurrounded" started as a solo performance where sound, movement, images and words collide. Each presentation is different on each occasion, with new imprints on the material layers and with new interactions that can extend to collaborations with other performers, musicians and visual artists.